A Norwegian classic! Finest quality, tiny brisling sardines in top-grade extra virgin olive oil. 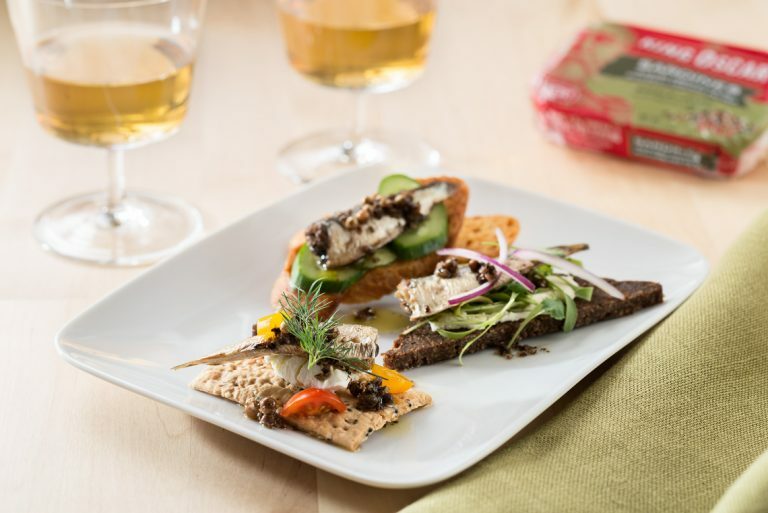 A Norwegian favorite made from the world’s finest quality, very smallest brisling sardines. Cross-packed along the width of the can in top-grade extra virgin olive oil. Authentically wood-smoked for mild flavor. Wild-caught and hand-packed as always. Kosher-certified, with no preservatives. Try on sandwiches, in salads, or in fresh pasta dishes. 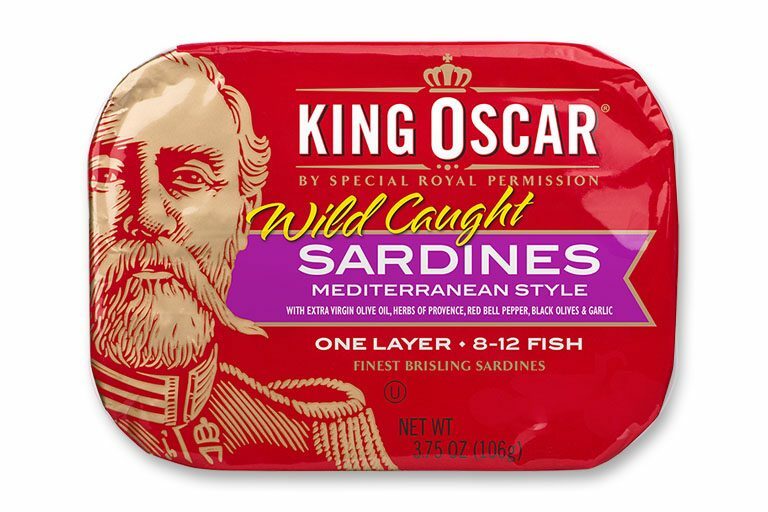 Finest quality wood-smoked brisling sardines, hand-packed in a sunny Mediterranean-style sauce of top-grade extra virgin olive oil, sliced black olives, red bell pepper, garlic, and herbs of Provence. Kosher-certified. Try on sandwiches, in salads, or in fresh pasta dishes. Norway meets Mexico! 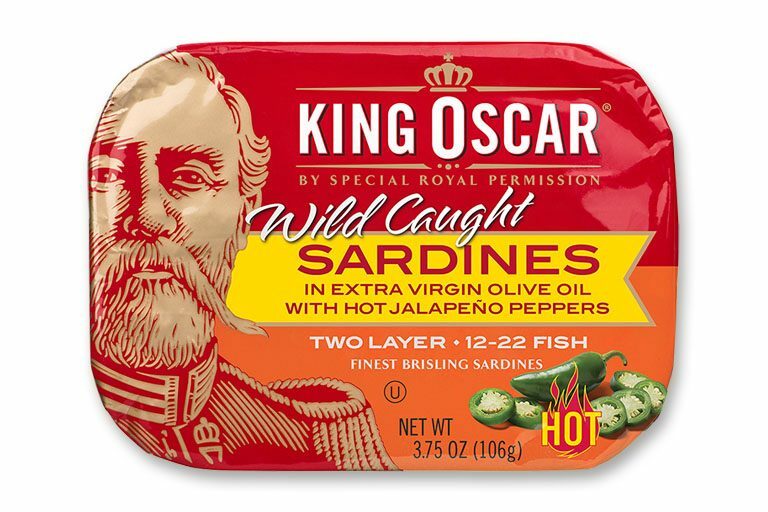 Finest quality, tiny wild-caught brisling sardines in top-grade extra virgin olive oil with sliced hot jalapeño peppers. 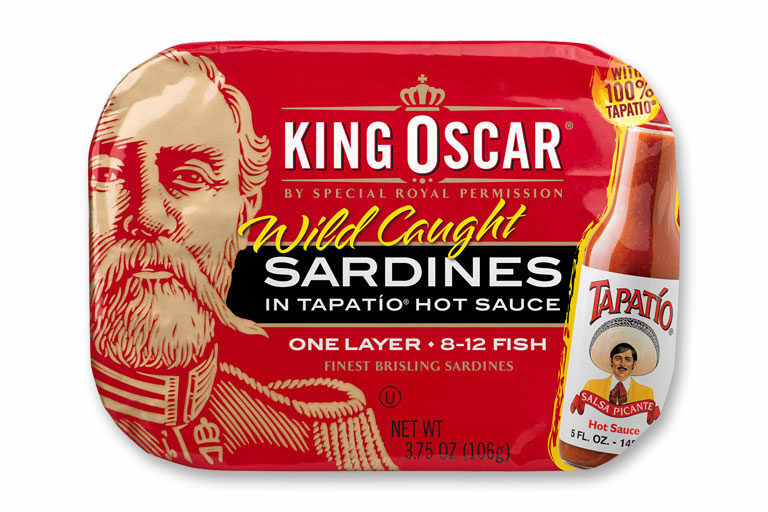 Now you are instantly ready for easy fish tacos or an exotic salad. Real oak-wood smoked and hand-packed as always. Kosher-certified. A spicy, aromatic take on a Norwegian classic! 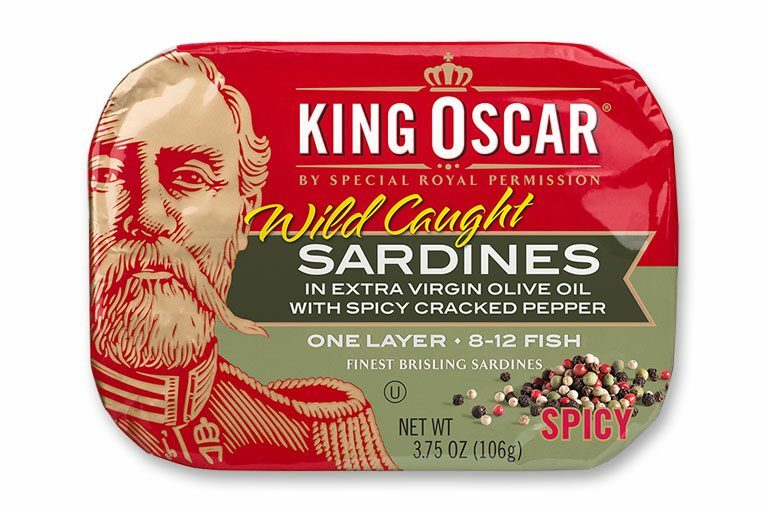 Finest quality, wild-caught brisling sardines in top-grade extra virgin olive oil with a bold blend of black, white, green, and red whole and cracked peppercorns. A delight to the senses as soon as you open the can. Real oak-wood smoked and hand-packed as always. Kosher-certified. Ready to go, delicious in pastas, salads and sandwiches, perfect with your favorite crackers. 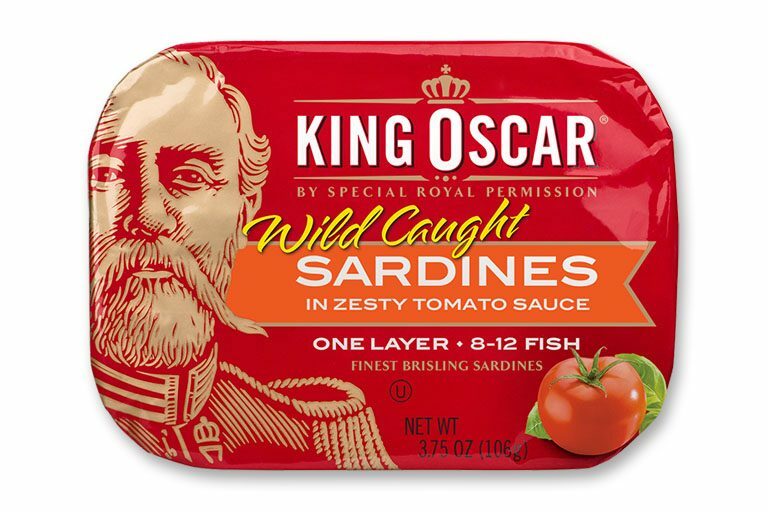 Finest quality, wild-caught brisling sardines in a popular and zesty sauce made from tangy, sun-ripened tomatoes. Real oak-wood smoked and hand-packed as always. Kosher-certified. Try on sandwiches, in salads, or with fresh pasta. Classic Norway meets quintessential France! 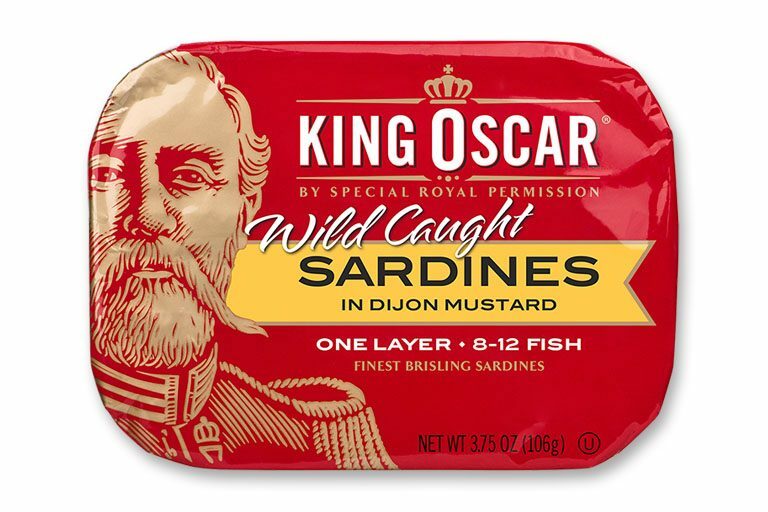 Finest quality, wild-caught brisling sardines in a tangy Dijon-style mustard sauce. Real oak-wood smoked and hand-packed as always. Kosher-certified. 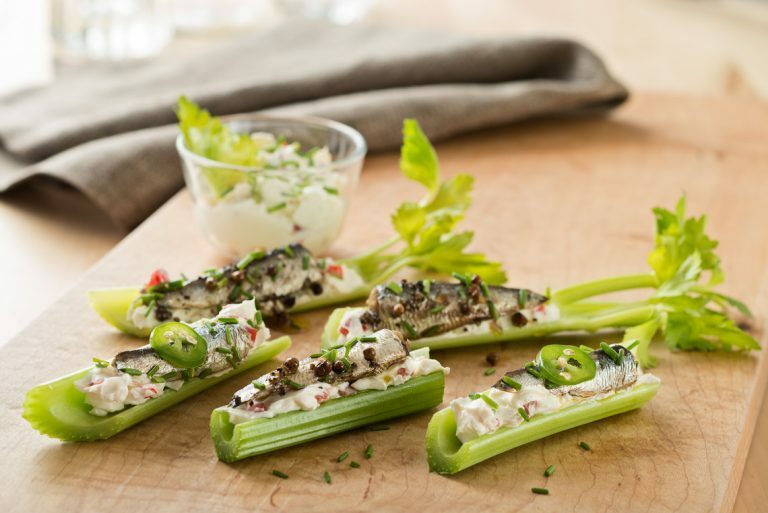 Try on top of your favorite crackers, on sandwiches, or in salads. Finest quality, wild-caught brisling sardines hand-packed in top-grade soybean oil. Special production process assures lower sodium content (not a sodium-free food). Authentically wood-smoked as always. Kosher-certified, with no additives or preservatives. Try in a nutritious salad or on a high-fiber cracker. Finest quality, wild-caught, and wood-smoked brisling sardines hand-packed in pure spring water. Special production process assures lower sodium content (not a sodium-free food). Kosher-certified, with no additives or preservatives. Try in a nutritious salad or on a high-fber cracker. 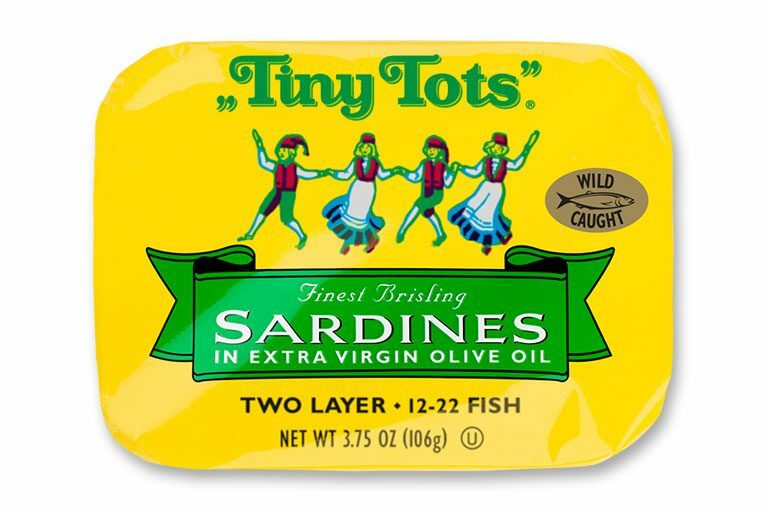 Famous King Oscar quality in the traditional yellow Tiny Tots label. 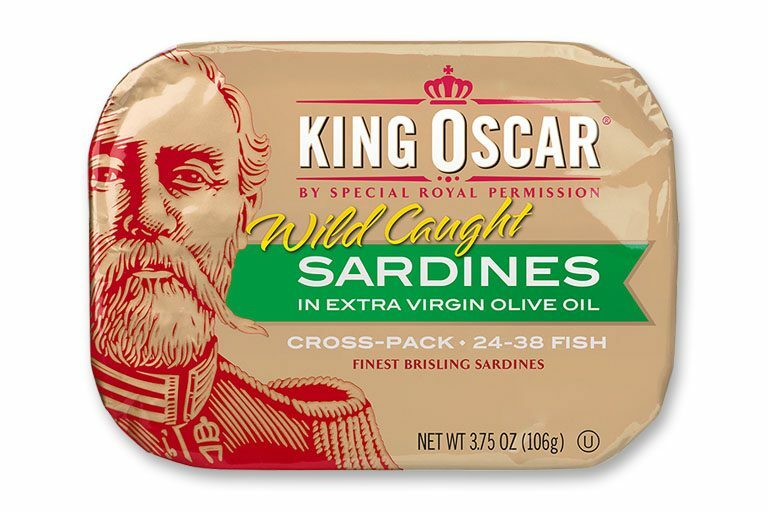 Finest small and delicate brisling sardines in top-grade extra virgin olive oil. Wild-caught, authentically wood-smoked, and hand-packed as always. Kosher-certified, with no preservatives. Enjoyed for generations! Try on sandwiches, in salads, or with fresh pasta.